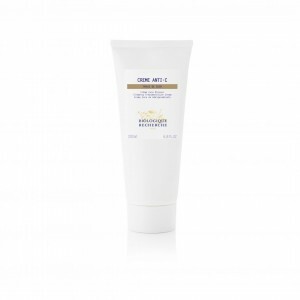 Crème Anti-C contains 11 highly concentrated active ingredients to provide simultaneous action on different fronts to target the causes and cutaneous consequences of cellulite. This global treatment provides preliminary action against painful sensations in the tissue and their symptoms in the skin in order to better guide lipolytic active ingredients to the very heart of adipose tissue. This cream exfoliates and reduces the thickness of the stratun corneum, promotes the structural reorganisation of the dermal matrix and encourages the breakdown of excess lipids and reduced adipocyte volume. Your figure will be toned, your skin will feel invigorated and softer to the touch. This smooth cream will reduce the appearance of orange peel skin and your thighs could reduce to up to 2.5cm in circumference in 8 weeks!